Tiffany Withers, Community Champion, is a very special teacher. After 13 years in the corporate field, she knew she was meant to do something else. She changed her career and has loved every minute since. She began by working at the local elementary school as first a substitute teacher and then becoming a teacher’s assistant full-time in special education. Now she is a special education teacher at Brandon Middle School, teaching 7th and 8th grade special education classes. At 23 percent, Mississippi currently has the nation’s lowest four-year graduation rate for special-needs students. Some of the blame for this is on Mississippi’s tough requirements for obtaining a standard diploma. Currently, students with disabilities must meet roughly the same criteria as their non-disabled peers. A diploma opens doors to jobs, education, training, and military that otherwise are closed to students with special needs. 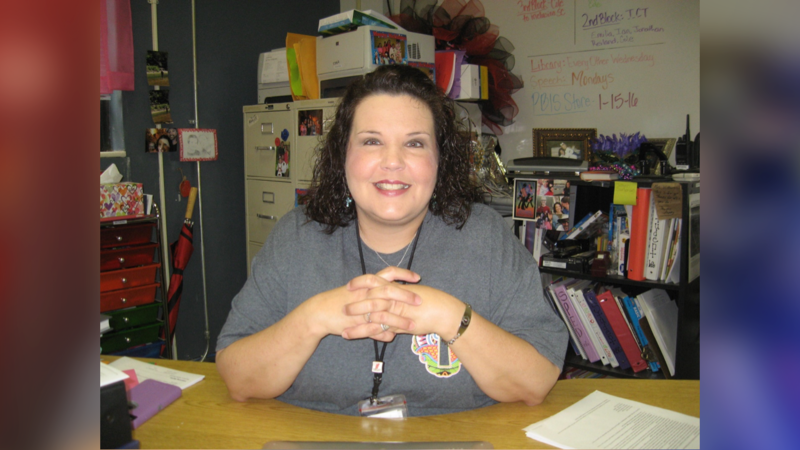 More teachers like Withers are needed to teach and in other ways mentor special needs students. Withers has a passion for teaching special needs children and empowering them with self-esteem and confidence to accomplish what they set out to do. The majority of Wither’s students have Autism that ranges from non-verbal to some very high functioning Autism. Other health issues include Down’s syndrome, Chromosomal Deletion and mobility issues requiring canes or wheelchairs. “Somedays I go home thinking maybe I didn’t teach them anything today but I got them here, I loved them, I helped them believe in themselves and I am going to send them home. That’s pretty good. I am the blessed one. I am so lucky to have these kids every day,” reflected Withers regarding her role.